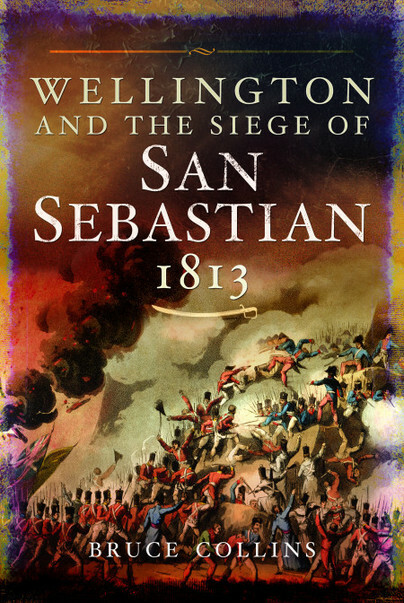 You'll be £10.00 closer to your next £10.00 credit when you purchase Wellington and the Siege of San Sebastian, 1813. What's this? Bruce Collins's in-depth reassessment of the Duke of Wellington's siege of San Sebastian during the Peninsular War is a fascinating reconstruction of one of the most challenging siege operations Wellington's army undertook, and it is an important contribution to the history of siege warfare during the Napoleonic Wars. He sets the siege in the context of the practice of siege warfare during the period and Wellington's campaign strategies following his victory at the Battle of Vitoria. He focuses on how the army assigned to the siege was managed and draws on the records of the main military departments for the first time to give an integrated picture of its operations in the field. The close support given by the Royal Navy is a key aspect of his narrative. This broad approach, based in fresh archive research, offers an original perspective on both San Sebastian's significance and the nature of siege warfare in this period. This is an important contribution to the history of siege warfare during the Napoleonic Wars. An in-depth analysis of the often neglected details of siege warfare in the Napoleonic period, focusing on this key engagement overseen by Wellington and crucial to British victory. Bruce Collins is Professor of Modern History at Sheffield Hallam University. He has written widely on nineteenth-century American politics and the origins of the American Civil War, and British power and imperialism in the late eighteenth and nineteenth centuries. He has also made a special study of siege warfare. Among his publications are The Origins of America’s Civil War, The Growth of Federal Power in American History (joint editor), White Society in the Antebellum South, British Culture and Economic Decline (joint editor), War and Empire: The Expansion of Britain, 1790-1830 and Transnational Soldiers: Foreign Military Enlistment in the Modern Era (joint editor).